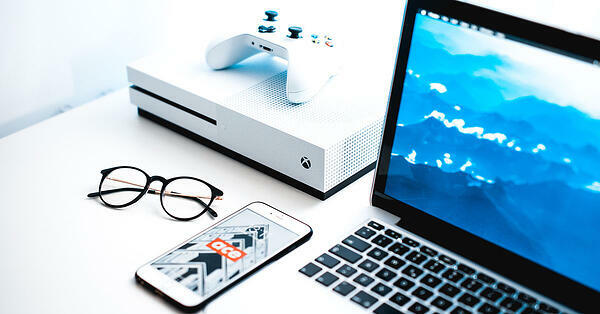 Game-based learning and gamification are often talked about interchangeably when it comes to eLearning, but they are not the same. So what does each term actually mean, and how is each implemented into a learning system? From online education to employee training, learning through games has become an important way of training and teaching. The practice is quite a disruption in the marketplace. Despite some debate over its value, the practices of gamification and game-based learning continue to rise in popularity. Here are some of the difference, and how to implement them in your learning management system (LMS). Game-based learning is the practice of using games to enhance the learning experience. A good example is the use of Monopoly in the classroom to teach children about banking and money. Or, using Scrabble to get students thinking about words. In these instances, a game is used to help teach a principle. The game itself is not new or unique to the curriculum, but it illustrates what is taught using play as an example. In the workplace, this can mean using fantasy football or baseball to illustrate the importance of individual performance to the outcome for the team. Of course, there are many other ways to use games as part of employee training using platforms like Knack, Knowledge Guru, GameLearn, QStream and The Training Arcade. Through game-based learning, employees are better trained. Games help them stay motivated and engaged as well as give them relevant practice and immediate feedback. Critical thinking and problem-solving are enhanced. Furthermore, winning feels good and provides a sense of accomplishment. On the other hand, gamification is based on the idea of adding game-like elements to a non-game situation. Teachers are creating quest-based games for their students that turn the act of learning into one long game with the ability to level up, earn badges, win battles, and eventually clear the game. The same can be true in the workplace. Gamifying a process like achieving a sales goal or as a substitute for a boring webinar inspires competition and engagement. By implementing simple gamification elements such as leaderboards, badges, and weekly challenges could boost sales team performance for the majority of companies that utilize them. Businesses with highly engaged employees see a 20 percent increase in sales. Most of the time, competition in the workplace is a good thing. However, it can lead to things like backstabbing and cheating if the fun and team aspects are not emphasized. This can result in resentment instead of an improved learning environment. Moreover, some employees just don't like playing games. Make your play optional for those employees to achieve the best results. Use intermediate "levels" in the game to discourage cheating and solidify outcomes. Don't be afraid to stop the games if things are getting ugly. Remember, one of the things that you are trying to do as a leader is to make your team stronger, and they have got to see that winning the game means beating your competition and improving as a company, not defeating each other. Already have a learning management system? No problem! Today's digital systems are ripe for this kind of integration. Lambda Solutions is a provider of open source LMS such as Moodle and Totara Learn, which also are GDPR compliant, as well as being gamification and game-based learning friendly. Lambda Solutions specializes in eLearning solutions that incorporate elements of game-based learning and gamification. Whether you choose to use Moodle, Totara Learn to create engaging and gorgeous visual elements, they can help you best utilize your data and at the same time compel your audience to learn using powerful storytelling techniques. Get in touch with us to get the most out of your data!